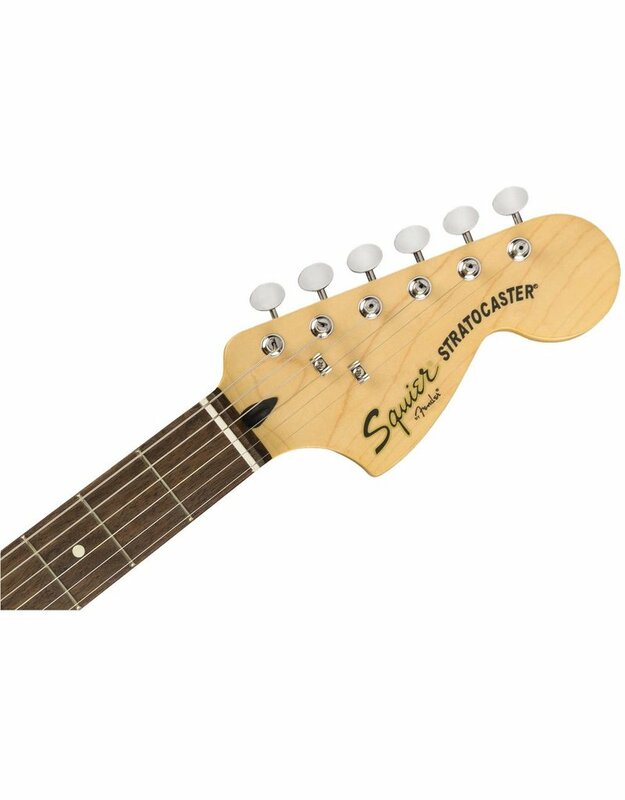 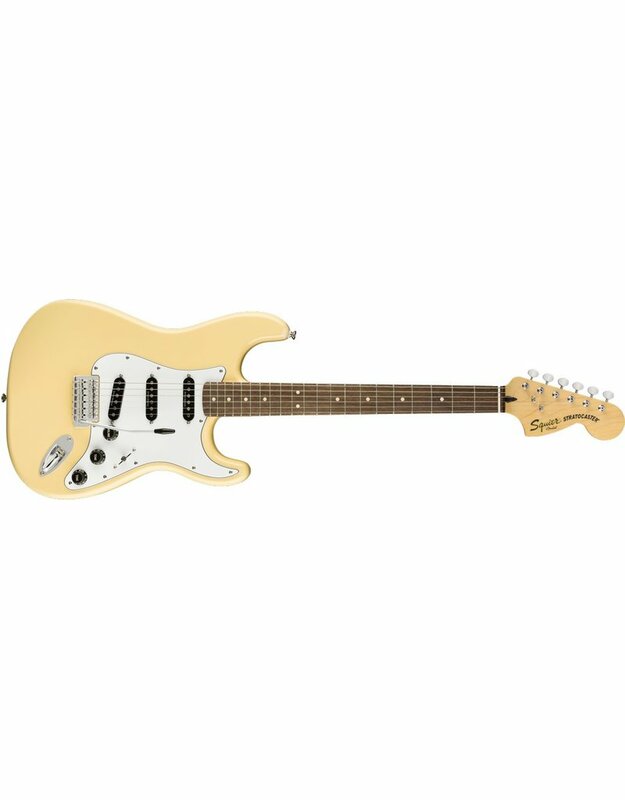 The Vintage Modified ’70s Stratocaster® delivers the distinctive look of 1970s workhorse Fender guitars, with an all-Black maple-fingerboard model and a Vintage White rosewood-fingerboard model. 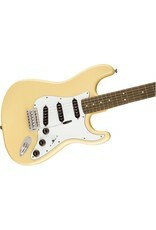 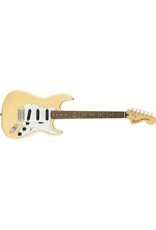 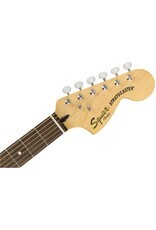 Both feature a large headstock, vintage-tint gloss neck and black plastic parts typical of that era. 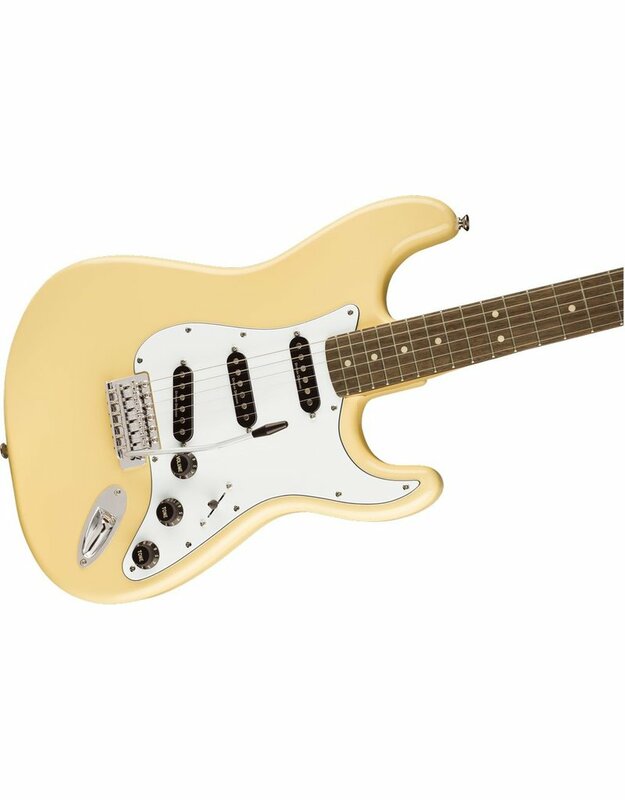 Other features include a basswood body, maple neck, 9.5”-radius fingerboard with 21 medium jumbo frets and black dot (Black model) or parchment (Vintage white model) inlays, three Duncan Designed™ SC-101 single-coil pickups with black covers, five-way pickup switch with black tip, three-ply pickguard (white-black-white or black-white-black), black numbered volume and tone control knobs, vintage-style synchronized tremolo bridge with vintage-style tremolo arm, vintage-style chrome tuners, chrome hardware and engraved neck plate.